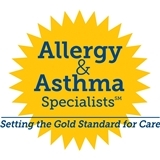 Allergy & Asthma Specialists (King of Prussia) - Book Appointment Online! Allergy & Asthma Specialists, PC takes pride in providing state of the art medical care in a personal and caring environment emphasizing the control of asthma and allergic disease while at the same time avoiding side effects from medications. The goal of the allergists and staff is to improve the quality of life of each and every patient. All patients of the practice have access to the most complete and comprehensive range of medical services available to diagnose and treat allergic diseases, asthma, recurrent infections and eczema. The practice treats all age groups from newborns to adults. Our History Allergy & Asthma Specialists, PC is a dynamic, state of the art Allergy/Clinical Immunology practice that was established in 1989. Board certified allergists are assisted by approximately 50 support staff to provide care at eight locations in Philadelphia and the surrounding suburbs. Our Role in the Community The healthcare providers of Allergy & Asthma Specialists, PC function as consultants to the healthcare community, assisting pediatricians, family practitioners and internists in the treatment of asthma, allergies (including food, drug, latex and insect), eczema, chest diseases and recurrent infections in adults, adolescents, children and infants. Practice Highlights The physicians of Allergy & Asthma Specialists are some of the most renowned allergist/immunologists in the nation and, collectively, have over 145 years of experience as Board Certified Allergists. They share that experience by meeting weekly for medical rounds to discuss patient cases and treatment plans. The group shares a professional cohesiveness that is unsurpassed in the medical community. Allergy & Asthma Specialists, PC is the only allergy practice in the region to offer Sublingual (drops under your tongue) Immunotherapy. Also exclusive to the region is The Aspirin Allergy Treatment Center of Allergy & Asthma Specialists specializing in the treatment of individuals who experience poorly controlled asthma, nasal polyps and recurrent sinus infections due to aspirin allergies/sensitivities. In addition to caring for patients, the physicians of Allergy & Asthma Specialists, PC are often requested to lecture nationally, internationally and locally being involved in hundreds of speaking engagements over the years. All physicians of Allergy & Asthma Specialists, PC are published authors in peer reviewed medical journals. To further support the commitment to state of the art care, a research department was instituted in 1998. Since then the physicians have been involved in conducting over 100 clinical research trials and are instrumental in providing to their patients new therapies for allergic rhinitis, asthma and sinusitis. Every part of the Patient Medical Record is computerized with all patient information accessible over secure, high speed communication lines at all office locations. Allergy & Asthma Specialists, PC is one of the most technologically advanced, physician-owned medical practices in the United States. Dr. K was thorough and supportive. Dr. Desai is a brilliant doctor. Highly recommended. Dr. Sheth is very thorough in taking your history as well as explaining results or conditions. He is always very pleasant. I was there on time and didn’t have a chance to get past the first page of new patient information before being seen. The Dr was very thorough with her questions. Listened to my issues and/or concerns. I’d recommend her and the staff to anyone.